Your Church Sound Techs Want Training. We Train Church Sound Techs. Attending a live class is by far the most valuable training you can experience. You will get to hear a myriad of audio demonstrations firsthand, find answers to your questions right on the spot, and make friends with peers who share many of the same tech ministry challenges that you do. How cool is that!?! Not everyone can make it to a CSBC class. We get it. Our Home Study version of the Boot Camp is the next best thing to being there. There are three versions of the CSBC Home Study Course -- one for individual study, and two designed to help the sound team leader guide their volunteers to technical excellence. Churches with a large team of audio volunteers may want to consider scheduling a private training event. 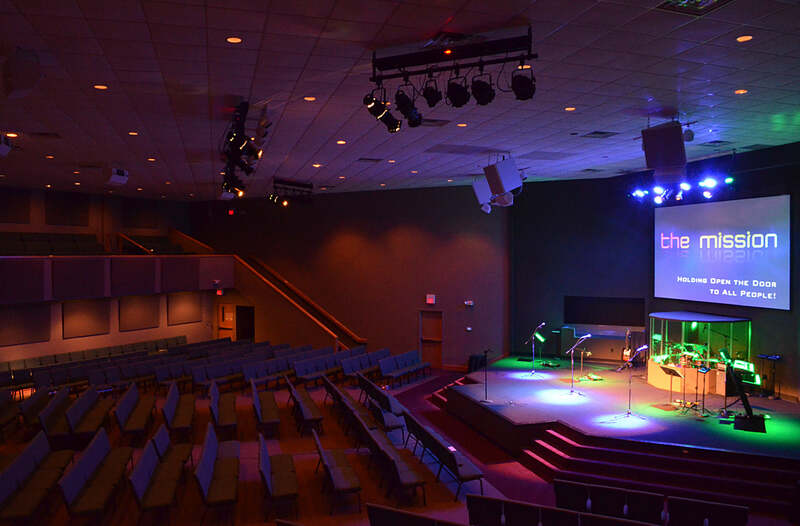 This is where we come to your church and train your tech team in a private session, on your schedule, using your equipment, and focused on the specific topics that your team wants most to learn. Thanks. We will be sending our sound guy again. When he returned from the first class he immediately changed our sound in a good way. Even members of our church were commenting on how great it sounded. I'm excited for the next level. If you are involved in your church as part of the sound team, this is an invaluable class even if you think you know everything you need to about sound. If you have a heart for technical excellence, then you need to invest in training that will help to achieve it. As iron sharpens iron, your time with Curt and the other attendees will sharpen your knowledge and abilities far beyond what they currently are and allow you to help others as well. Thanks Curt. Your production exceeded my expectations. Nothing like demonstration of examples to bring a concept home! The pace was quick. But allot of topical breadth! Thank you again - good instructor. Worth going for sure. It was a great way for our tech team to refocus some goals. Another reason to go is to socialize with other sound techs and hear what they are doing and what will work and what doesn't. Even a simple sound system has several components that work together to amplify the sound – microphones, mixing consoles, equalizers, power amplifiers, and loudspeakers. Our CSBC class is filled to overflowing with the techniques, concepts and knowledge that each sound tech MUST understand in order to master the sound system in their church. The class is fast-paced, focused on learning, yet with a few laughs along the way. Come join the thousands of CSBC Grads who have found a renewed passion for technical excellence. You'll return home understanding not only HOW to improve your church's sound, but WHY you are taking each step. Plus you'll have a great time learning alongside fellow believers! Are You Ready to Take Back Your Dream of Technical Excellence?